The recent US presidential election has manifestly influenced world outlook. At a recent little get together in the studio we discussed the reality of climate change and evaluated, in a soon to be ‘Trumped Up’ world that’s already a year on from the Paris Agreement on Climate Change, if action on the ground was actually meeting the clear targets of the Agreement and how rapidly we could expect further change in our world. It is not clear whether the climate change denials of Donald Trump and his team are election promises of pure rhetoric or whether big changes are coming; however, things are suddenly not optimistic for the US environment. 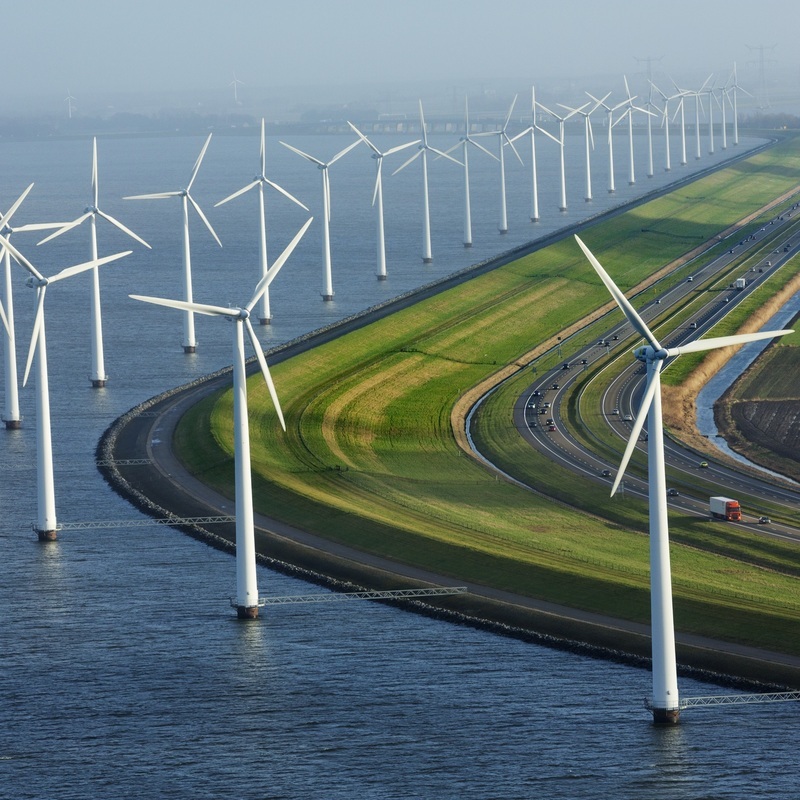 Regardless of whether policies are repealed or not, it might after all make little difference in heading the world away from the renewable energy revolution currently gathering strong momentum. Plans have already been set in motion by governments, including his own, that will be hard to change and business and industry seems to be following the lead. Paris gave a clear statement of intent that the world was about to change significantly and that was all that was needed to convince investors to climb aboard a train they always wanted to ride anyway. The question now is how fast will things change, will it be fast enough and where is the leadership coming from, if not the USA. Look no further than China to carry the mantle. China has indisputably already become one of the leaders of renewable energy and a new world order has taken shape in the field of clean energy according to accounting firm Ernst & Young. 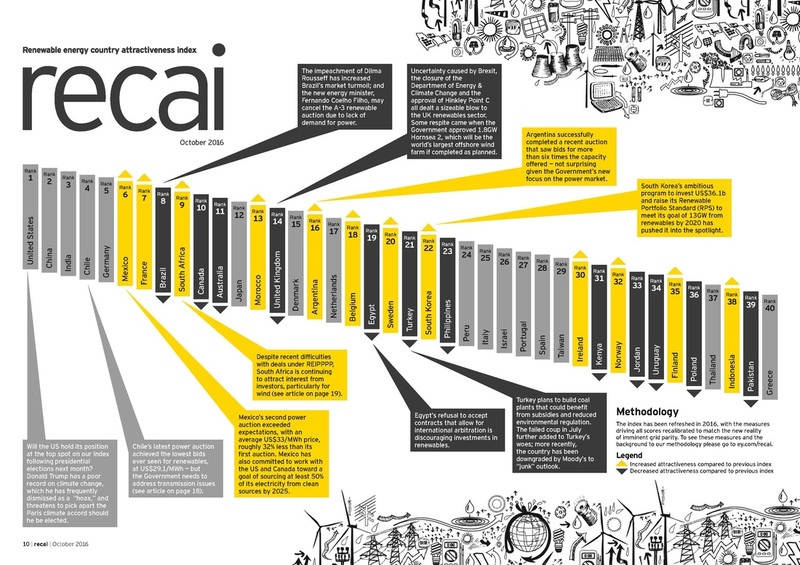 China was listed No.2 in their “Nation’s Renewable Energy Attractiveness Index”, which covers 30 nations. Increase the share of non-fossil energy sources in the total primary energy supply to around 20% by 2030. 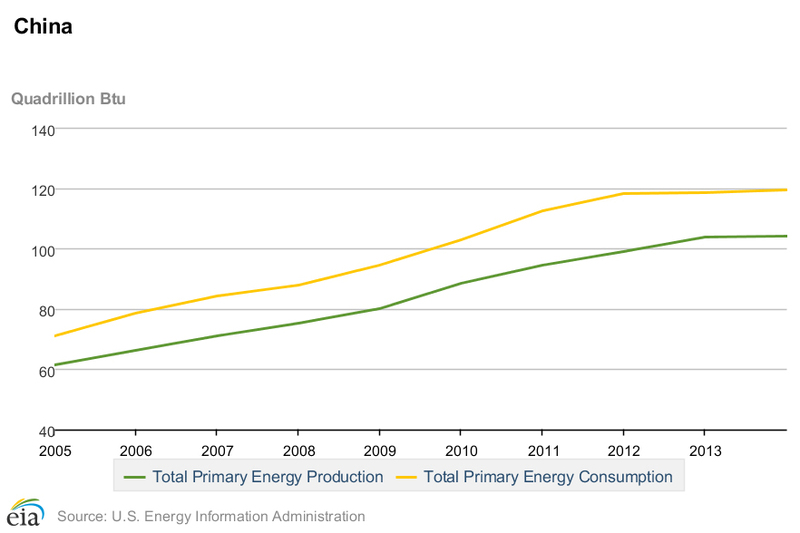 Increase the share of natural gas in the total primary energy supply to around 10% by 2020. 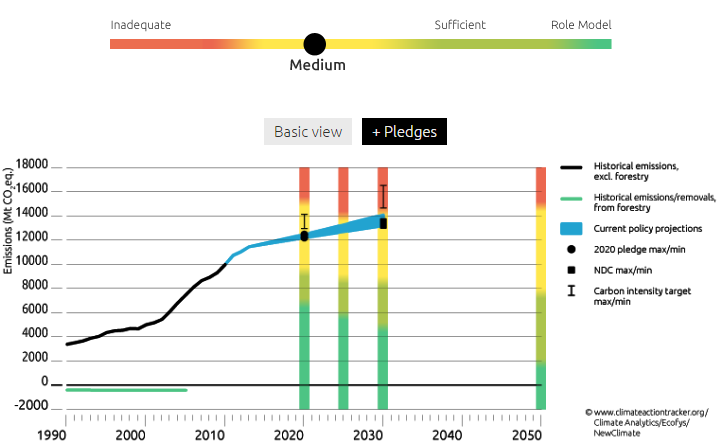 Lower the carbon intensity of GDP by 60% to 65% below 2005 levels by 2030. China has seen it is well placed to take the Paris Agreement as a starting point in which to boost a paradigm shift in the country’s development thinking, with the opportunity to ensure it avoids the middle-income trap so typical of developing nations by quickly evolving high technology sectors in renewables and sustainable development. The nation pledged by 2030 to get 20% of its energy from renewables and nuclear power, almost double the current share.It is well on track therefore to peak its carbon dioxide emissions between 2025 and 2030,where the targets required to meet its commitments under the Paris Agreement seem easily manageable. The draft 13th Five-Year Plan, released in March, builds on the previous Five-Year Plan in which energy and carbon targets were not only met but surpassed. It requires greater reductions in the emissions of many pollutants and adding volatile organic compounds (VOCs), to those with specific reduction goals, or “hard” targets. 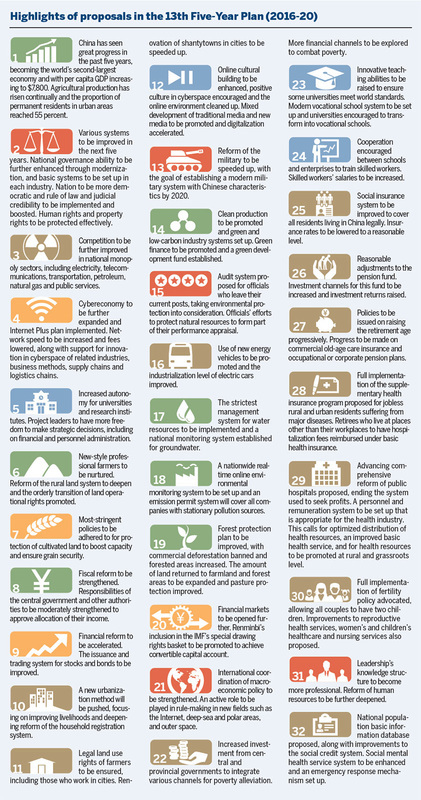 China’s government has already implemented at least 25 new rules and guidelines for sustainable approaches under the Plan in the last 6 months, many of them with significant implications for environmental improvement and carbon reduction. The Plan sets a 5 billion metric ton total energy cap for future development. Between 2011 and the end of 2015, energy intensity (consumption per unit of GDP) had already fallen by 18.2% and carbon intensity declined 20%. These declines were due in large part to the massive fall off in coal consumption: down 3.7% in 2015, following a 2.9% decrease in 2014. Demonstrating that non-fossil energy sources are becoming a more important part of the Chinese economy, new carbon intensity targets place significant increase in the importance of non-fossil fuels from the previous five-year plan targets.China’s initiatives, against the backdrop of being the world’s largest carbon emitter are bound to carry influence and substance. Chinese government departments have been asked to make rapid policy adjustments in response to slowing electricity demand, with a capacity surplus said to amount to more than 2 billion tonnes a year, over half the country's total output. China will aim to close 4,300 mines and cut annual production capacity by 700 million tonnes over the next three years. According to the National Energy Administration, coal consumption amounted to 64.4% of China's total energy mix in 2015, down 1.7 percentage points compared to the previous year. China aims to cut the rate to 62.6% this year. 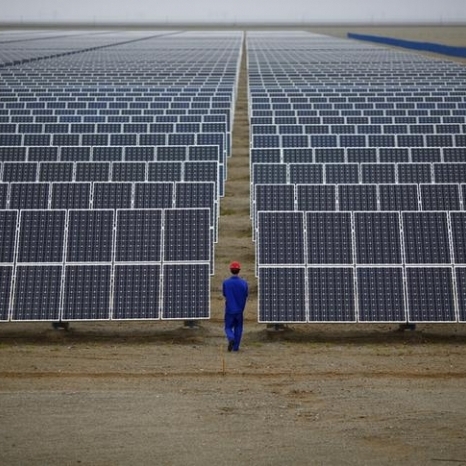 China is expected to continue to be the world’s fastest growing solar PV market during the five years spanning 2016 to 2020, with an addition of 15 GW to 20 GW in new PV power generation capacity each year. Solar power is expected to account for approximately 7% of the country’s power structure, 15% of new installed power capacity and 2.5% of total electricity generation by the end of 2020. With current wind energy payments of 0.4 RMB per kilowatt-hour, wind energy could displace 23% of coal-generated electricity. If so, China would eliminate as much as 9.4 % of the country's current annual carbon dioxide emissions. Another initiative focuses on reducing China’s energy intensity through a further commitment to high-speed rail. 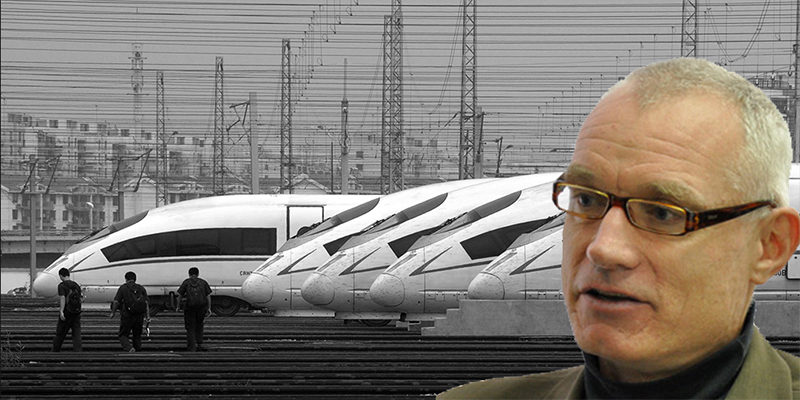 Rail systems for intercity travel are more energy efficient than either automobiles or air travel. 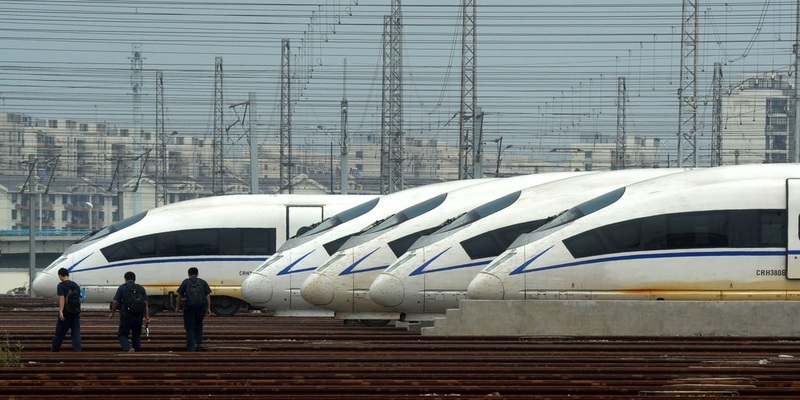 The government has committed 800 billion yuan to rail projects in the next five years. China also has plans to increase urban rail and rural bus services. 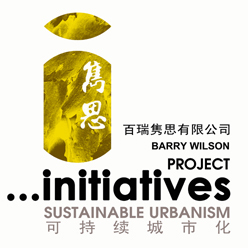 The Plan continues China’s ambitious efforts to massively urbanise but put emphasis now on promoting green development and energy efficiency. 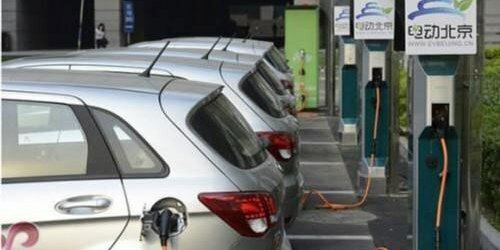 The spectacular growth of the New Energy Vehicle (NEV) market in China continues; where sales were up a massive 162% to 170,000 units in the first half of the year, backed by large government purchase subsidies. NEVs include pure-electric vehicles (EV) and plug-in hybrid electric vehicles (PHEV). The new numbers confirm China’s position as the largest market worldwide. The United States follows at a respectable distance in second place with sales of 64,000 EVs and PHEVs. Vessels and ports are major sources of the severe air pollution choking many coastal cities in China, which is home to eight of the ten busiest (and most densely populated) port cities in the world in terms of freight volume. Several important steps to control emissions from shipping activities, which until now have been virtually unregulated have been implemented in the last year. An amended “Air Pollution Law”, coupled with the Ministry of Transport (MOT), “Ports Pollution Prevention and Control Implementation Plan”. includes specific goals and timetables for setting up emission control zones around key port regions, constructing shore power facilities and promoting the use of liquid natural gas (LNG) by vessels. 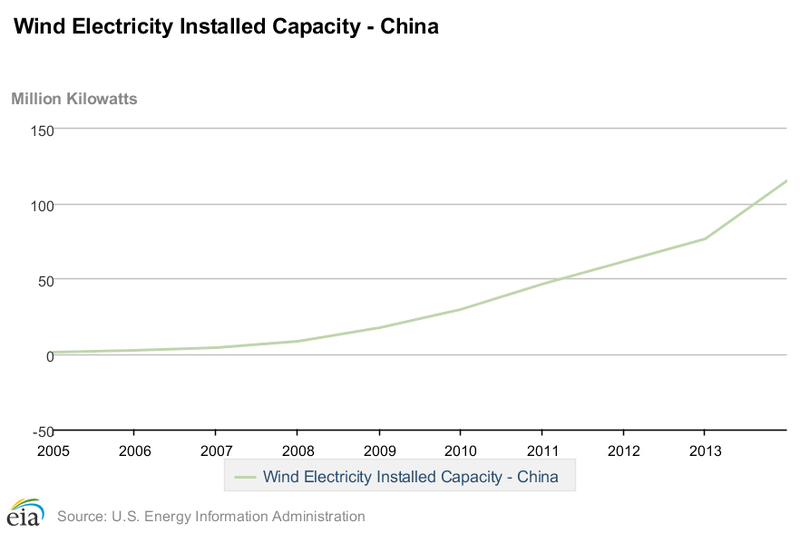 Transmission capacity of the power grid threatens to temper China’s rush to develop renewable energy supplies however, with some of the nation’s wind capacity in particular remaining idle. There’s also the matter of being able to get power from where it’s produced to where it’s needed most. To expand capabilities, China is developing its smart grid and has promised to accelerate the construction of micro grids and promote the development of energy sources that don’t need transmission lines, including distributed solar projects and power from micro-gas generators. A smart grid differs from a conventional power grid in that it includes a system of information and communication technologies to bi-directionally transmit and distribute electricity more efficiently and reliably. 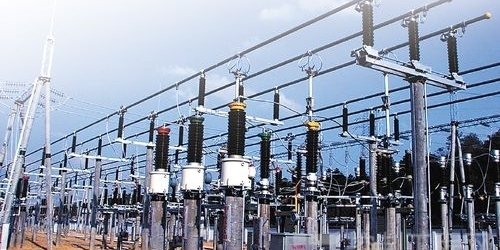 The focus on smart grids comes as China currently spends more on grid development than any other country in the world and by 2020, UHV and other intra-regional transmission capacity will reach 400 GW, enough to connect all planned coal, hydro, nuclear and wind power to areas with high demand. China intends to become world leaders in management, technology and equipment production in the sector. Its burgeoning clean energy resources are also behind the demand for a smarter grid system, to ensure stable power supply given the higher share of clean energy and meet demand created from broader use of electric vehicles and energy storage. Although China’s policies and actions appear set to achieve the CO2 goal in its NDC, as well as its national targets, the NDC itself is not yet ambitious enough to limit warming to below 2°C, let alone with the Paris Agreement's stronger 1.5°C limit. However the change in worldwide inertia and underlying business sentiment in investing in change, could see the private sector lead the way in making it easier for governments to strengthen targets in the coming years. It is possible that some countries, and China in particular, will see momentum swing so far as to be able to exceed the commitments made in the Paris Agreement. The US doesn’t any longer look likely to be one of those countries however. Change Is Coming...Too Fast Or Not Fast Enough?